Beautiful sterling silver baptism necklace for her special day in white with shimmering crystals! 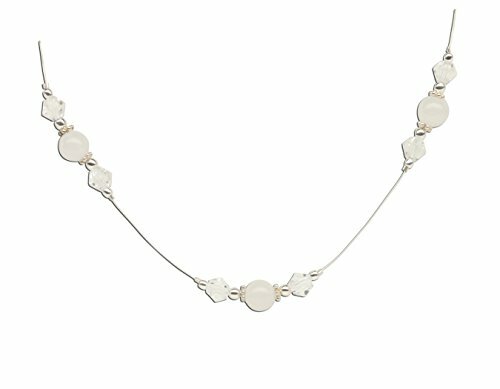 This measures 13" beaded on clear illusion line, and comes packaged in a gift box with a precious poem about her special day. This will be a keepsake she will treasure forever! If you have any questions about this product by Cherished Moments, contact us by completing and submitting the form below. If you are looking for a specif part number, please include it with your message.